PFS Fire and Security are one of the East Midlands leading security system installers with over 20 years experience, we can meet all your security needs from European / British Standard alarm servicing to complete up to date insurance compliant intruder systems, fully monitored with police response. Here at PFS we pride ourselves on our NSI silver accreditation recognition for Security Systems. As a result we are equipped to deal with properties of all sizes. We supply an extensive range of intruder systems, tailored to our customers specific requirements. We also carry out servicing of intruder alarm systems and can issuing certification where required by our customers insurers. Our systems can also include 24-hour monitoring with keyholder, Policed response or even mobile phone integration. Our team can provide tailored products to suit all your needs. WHO’s LOOKING AFTER YOUR HOUSE WHILE YOU AWAY? WHY NOT ASK FOR A QUOTE ? PFS offer a 24HR call out service to all our existing clients, whether you just need advise or an engineer, PFS are here to help . 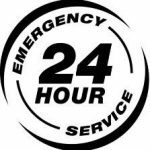 24HR call out services includes ; Intruder alarm faults, CCTV data collection/backup , Access control lock ins/outs plus much more….